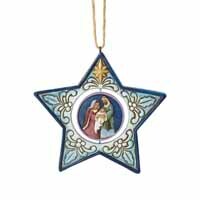 Star-Shaped Nativity | Jim Shore Ornaments Figurines | One Price Low Flat Shipping! 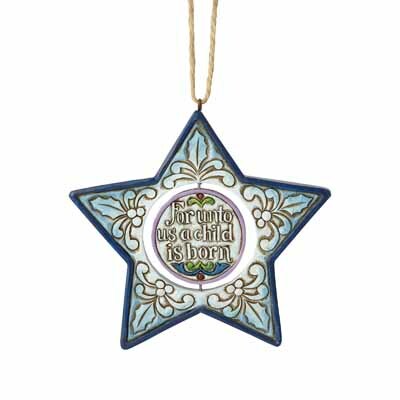 From the Jim Shore Heartwood Creek Holiday Collection, Star-Shaped Nativity Spinner Ornament. Made of hand-painted stone resin. Measures 4" tall. Comes with hanging cord attached and packaged in collectible Enesco Jim Shore gift box.